Read Zambia safaris trip reports to give you an in-depth and unbiased look into what makes such a holiday tick. Want to find out where lions are spotted regularly? How about getting the low-down on the quality of the food on such a trip? Or would you like to know which safari operator provides the best wildlife spotting experience? The trip reports below are written by people who have been on such a trip already so they can provide answers to these questions. And the advice is independent and unbiased, so there is no 'marketing exaggeration' involved. Often the best information about a travel destination can be obtained from somebody who has already been there, so take a careful look at the travel reviews to get some great tips. With a large concentration of mammal and bird life, the South Luangwa National Park is one of Africa's foremost safari destinations. The park covers an area of 9050 sq kilometres which is half the size of Wales and over three times the area of Rhode Island which makes it ideal for big five Zambia safaris. Over the years, it's built up a reputation as a very good place for leopard sightings due to the fact that it seems to have one of the highest densities of this secrtive and highly adaptive cat in Africa. 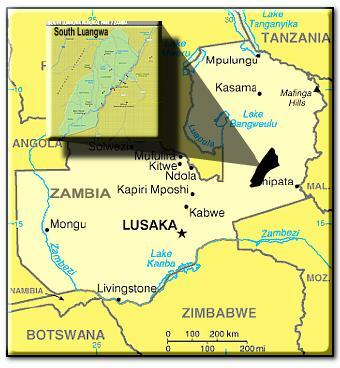 Situated in the south eastern part of Zambia, not far from Lusaka, between Kariba Lake in the west and Mozambique border in the east. 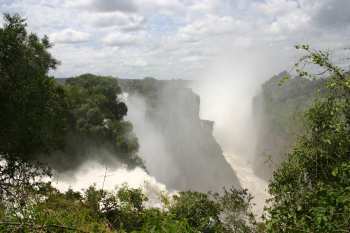 The mighty Zambezi River is the southern park border and also the country border between Zambia and Zimbabwe. The park features almost 400 bird species and a great variety of game. Viewing the natural abundance from canoes is a popular activity of Zambia safaris here - just watch out for the hippos! 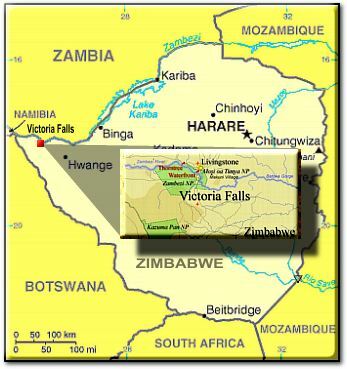 The Victoria Falls lies on the border between Zambia and Zimbabwe. Views from both sides are spectacular but the entrance fee on the Zambian side is cheaper. This waterfall is rated as one of the natural wonders of the world with good reason (especially during the rainy season when the river is full) so it's a very good idea to include it in Zambia safaris itineraries. It's possible to view the spectacle from the top, mid-way and bottom of the waterfall so be prepared to do a reasonable amount of walking, it really is worth it. Both old (proclaimed in 1950) and large (more than 22400 sq kilometres), the Kafue National Park is an adventure travelers delight because it still relatively undiscovered and underdeveloped. There is no chance of getting into the multiple vehicle scrums around a lion pride here as happens in many of the parks in Eastern Africa. The geography of the park is wildly different from the tree and water rich areas of the south containing three rivers to the vast, flat expanse of Busenga plains in the North Western section, making for a very different Zambia safaris experience. Share your own story to help others still planning to go on an African trip like this.